Well, medical and alternative doctors have something in common when it comes to colon cancer. They agree on one thing-cut off the cancer. It seems that there is no other way to stop it from progressing (if you already have it), than to cut the affected colon. It’s a different story after the surgery. While most conventional docs would recommend chemotherapy and radiation, alternative doctors will highly recommend natural and alternative remedies. They believe that exposing your body to more chemicals and radiation, specially after surgery would do more harm than good. 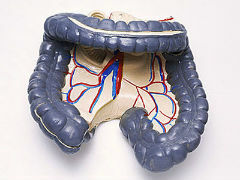 Our intestines are the organs that are specifically exposed to carcinogens or the cancer producing toxins from food. Specially now that millions of people are eating low fiber and high in fat foods, the intestines are taking most of the blow of the toxic effects of these garbage. That’s why we ought to have more of the good bacteria that is normally present in our intestines. We call it the lactobacillus live bacteria which is abundant in yogurt. It’s recommended that we take at least half cup of natural flavor free yogurt everyday to add good bacteria in our digestive system to “sweep off” the carcinogens lurked in the loops of our intestines. Ever heard of Bromelain? It is found abundant in pineapples, which by the way is also a fiber rich fruit. Bromelain has been known to break off the protective coating of the tumor and eventually will weaken off once the coating has been shed off by this natural mineral. The colostrum from the milk of the mammals is also very good in promoting and jump starting the immune system of the newborns. In the case of colon cancer patients from surgery, this colostrum can be very helpful in boosting the immune system of the patient while the cancer is being killed. It is important that the whole body system is strong while the body is recuperating. Nothing is better than prevention. With the realization that we are all potentially prone to cancer, it’s best to go natural, try to be stress free, exercise and eat healthy. As I talk at my previous post, why not take the home remedies that are proven to work? A preferred recommendation is to take a cleansing bath for the immune system. Experts say that our body is filled up with toxins and stress. 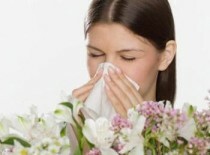 A drop of allergen could overflow the immune system that’s why we need a detoxification bath. Just simply take a shower and scrub yourself to remove excess oil and dirt. Then have a warm soak in the tub, making sure that the water level covers up to your neck. Stay in the bath for 5 minutes then take another warm bath to wash off the toxins from your skin. Do this at least 3 times a week, increasing the soaking time. A top herbal antihistamine called nettle is also recommended. Start taking it a couple of weeks before allergy season begins. Take two 300 milligram capsules of freeze dried nettle three times a day. There are also other natural remedies like Quercetin and Bromelain. These are perfect anti allergy pairs that can be bought from health shops. Remember, its always important that you know what are you allergic with. It will save your life. Here is a quick and easy ways to soothe the bruise. When we have an injury to the skin, a shade of purple and blue will usually appear on that area. It’s called a bruise-a sign of injury under our skin wherein there are broken blood vessel usually from a bump, a fall or a blow. There are other causes of bruising though and if it’s something that has occurred without some physical injury, get help from a physician because it may be pathological in nature. But for everyday bruising, there are a lot of alternative natural remedies that will surely keep away those nasty bruises. You can get arnica cream from any CVS Pharmacy. It’s fabulous for bruises with intact skin but never use it with broken skin since its harmful when taken internally. A few times a day, spread arnica cream to the affected area and it will magically take the pain away, and will stop the bruise from forming. Bromelain has also been known to be a good remedy for bruising. It will digest fibrin which is a by product of a bruise that usually cause swelling and inflammation. This protein digesting enzyme is found in pineapples. But sadly though, eating a lot of pineapple won’t remove the bruises. Instead, try to look for bromelain supplements. Take 250 to 500 milligrams in tablet or capsule form between meals until the bruising and inflammation subsides. Another traditional relief for bruises is the cold and hot water towel trick. Wring out a towel in a hot water, not too much heat to produce more injury, Just enough warmth. Put on the injured area for 3 minutes. Next put the cold towel over the same for 30 seconds. The warm water will bring blood to the area and the cold water will take it away. A series of this alternate pumping action will bring fresh nutrients to the bruise and removes wastes products. Want to know more, please check back often at this site.